TRENTON – The Quinte West Business Centre officially opened its doors Wednesday morning, with a focus on businesses that don’t need traditional office settings on a permanent basis. The centre shares a space with the Quinte West Chamber of Commerce. It features two temporary offices and a boardroom for business owners to rent by the half or full day. At a short ribbon-cutting ceremony, the business centre was officially unveiled to a packed room. Chamber general manager Suzanne Andrews said the hope for the centre is to address a growing demand for temporary work spaces. In addition to the work spaces, business owners will also have access to the Small Business Centre, which occupies an office two days a week to offer assistance with any business-related issues. Andrews said she hopes this will help turn the business centre into a one-stop business hub. 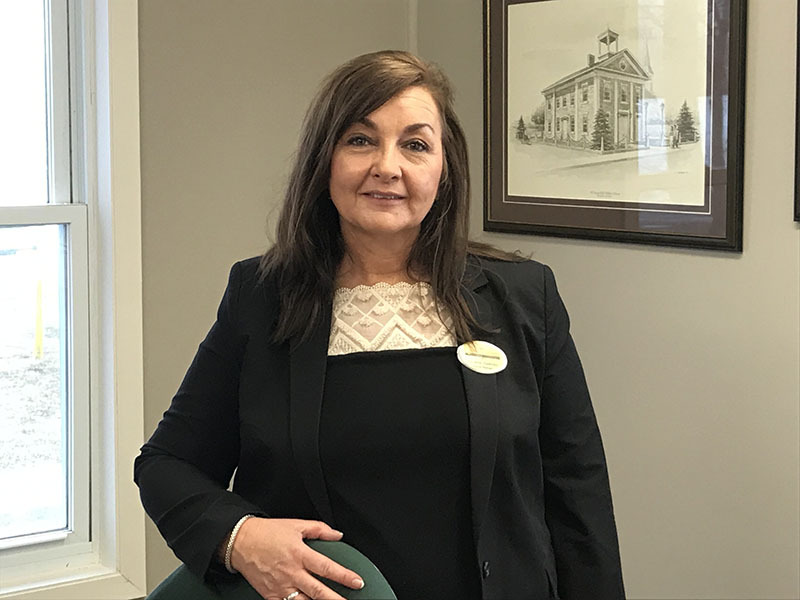 “Businesses can come in and get one-on-one counselling with the small business centre, or they can meet with representatives of MPP Todd Smith if there’s a provincial issue that’s affecting their business,” she said, referencing the fact that Bay of Quinte Conservative MPP Smith runs a satellite office in the building on Wednesdays. Amber Darling, the executive director of Trenval, the managing partner of the small business centre, says there is an idea to create a larger “innovation centre” in the Quinte region that would offer even more resources for businesses. “We don’t have something like that here, a larger centre, but we’re actually working on something like that, that may see something in the next couple of years,” she said, mentioning Venture 13 in Cobourg as a model of what Trenval is hoping to achieve.